Those flying from the U.S can get to Quito via Atlanta, Houston, New York JFK, Miami MIA and Fort Lauderdale with local American air operators like United Airlines, Delta Airlines and American Airlines or with TAME, the national Ecuadorian airline. There are also flights to Guayaquil via New York JFK, Fort Lauderdale and Miami MIA. You can read more about the transport infrastructures in Ecuador here. If you are not living in the U.S, simply contact us and we will find the best connections for you. We can book international flights for you with our exclusive tour operator price in addition to the tours. The tours and booked flights come with a security certificate which guarantees your booking with us. Under the special tour operator price, you do not have to make full immediate payment. 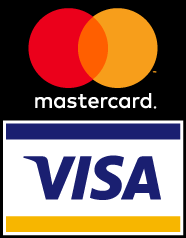 Instead, you can pay according to the payment conditions (e.g. only 30 days before departure). You are free to book your own flights, but our secure payment certificate (Reisesicherungsschein) does not cover such bookings. 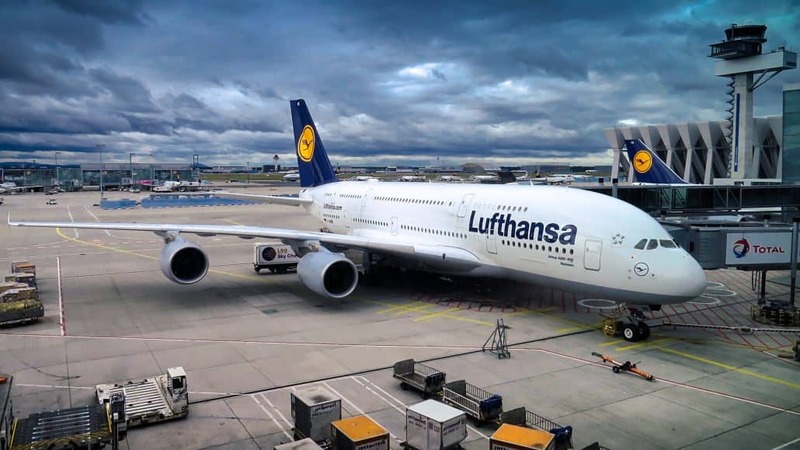 We are not liable for any delays during your connecting flights. Extra charges incurred and rebooking fees should be claimed from the airline or travel agency. There are many small airports in Ecuador which are currently accessible by three airlines – TAME, which is the Ecuadorian national airline, LATAM Ecuador and Avianca. They operate with the new airbuses or with the Embraer. All three airlines have daily flights from mainland Ecuador to the Galapagos Islands. 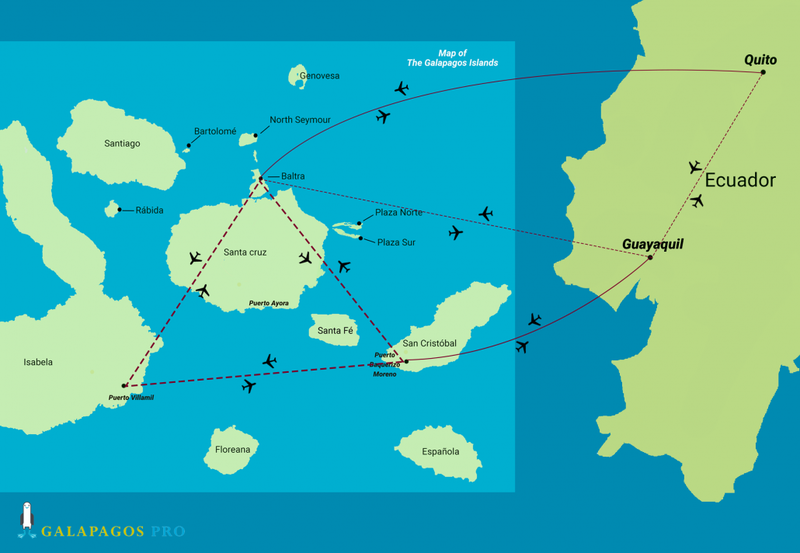 Two small airlines operate on the Galapagos Islands. However domestic flights for the Galapagos Islands can only be booked on the spot or with tour operators like Galapagos PRO. To book flights or for further questions you can reach us at info@galapagos-pro.com or call us directly at (+49) 069 – 71914030. IMPORTANT NOTE: On the internet, you can find conspicuously cheap flights for national flights within Ecuador. These prices are to be treated with great caution! The national airline Tame offers these flights exclusively for Ecuadorian citizens. When you purchase such a ticket, you may experience an unpleasant surprise at the check-in desk. You will then have to pay for the missing extra charge for foreigners or you can not board the flight.